The CVMC Board of Trustees is made up of community members who are dedicated to helping our medical center achieve high quality compassionate health care services for our community. The CVMC Board of Trustees is made up of community members who are nominated and elected to set direction for the organization, making sure that it runs in a financially and ethically responsible way with the focus always on continuous improvement to achieve high quality compassionate health care services for our community. These highly qualified and knowledgeable individuals volunteer their time for the betterment of this organization and the public it serves. For the fiscal year 2017 - 2018, there are 14 such Trustees. The CVMC Board conducts business in an open, transparent and inclusive manner. Accordingly, our full board meetings, held five times a year, include a public session, in which the public is given an opportunity for comment. Other business that involves confidential or proprietary information is conducted in private session. John R. Brumsted, MD, was named President and CEO of UVM Medical Center and UVM Health Network on February 13, 2012, after serving in an interim role since August 2011. A 30-year veteran of the organization, Dr. Brumsted has served in a number of roles at UVM Medical Center, including chief medical officer, chief quality officer, an earlier appointment as interim CEO, and senior associate dean for clinical affairs at the UVM Larner College of Medicine. Dr. Brumsted received his BA in Liberal Arts from Dartmouth College and his medical degree from Dartmouth Medical School in 1978. He did his residency in the Department of Obstetrics and Gynecology at the University of Vermont College of Medicine from 1981-1985, and then joined the medical staff and completed a fellowship in the Division of Reproductive Endocrinology and Infertility in 1987. He is board-certified in Obstetrics and Gynecology and Reproductive Endocrinology and Infertility, and is a member of the UVM Medical Center's Department of Obstetrics and Gynecology and a tenured professor of obstetrics and gynecology at the Larner College of Medicine. He has published extensively, both nationally and regionally. Professional Expertise: Connie comes to CVMC with a strong background in quality analysis and improvement aimed at enhancing health care outcomes and care coordination. In addition to leading quality efforts at the agency and state level, Connie facilitated CVHHH’s clinical risk management program with focused initiatives in fall reduction, telemonitoring, infection control, and regulatory compliance. 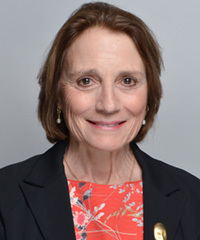 She has many years of involvement with JCAHO accreditation, and with board/staff strategic planning focused on community needs assessment, resource allocation prioritization, community partnerships/care coordination promotion, and change management planning. Prior to her nursing career she worked at Fletcher Allen Hospital as a medical social worker. Community Involvement: Connie chaired The Vermont Program for Quality in Health Care, a non-regulatory health care peer review organization designated by the VT Legislature. She also served on the Mad River Valley Health Center Board and chaired The VNAs of VT Quality Committee. She currently serves on the board of Spruce Mountain Inn, a residential and transitional living program for young adults with mental health issues. 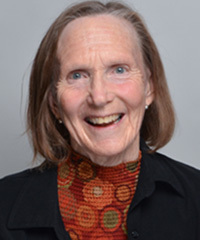 Connie is a past member of the Vermont Health Care innovation Project’s Performance Measures Work Group, and The Northeast Quality Foundation’s Central VT Transitions Work Group. Educational Background: Connie holds a BSN in Nursing from Creighton University and a MEd from the University of Massachusetts. She graduated with a BA from the University of Pennsylvania. She and her husband have two grown sons and are long time residents of Warren. Mike Dellipriscoli is retired from the National Life Group in Montpelier, VT, where he most recently served as Assistant Vice President – Strategic Analysis. Mike joined the National Life Group in 1988 and has over 35 years of experience in the financial services industry. A native of Philadelphia, Mike graduated from Villanova University with a degree in Mathematics and earned his MBA in Finance from the Wharton School of the University of Pennsylvania. Mike and his wife, Sue, live in Montpelier, where they have raised their five children. Mike is longtime member and a past president of the Montpelier Rotary Club and has served on the boards of the Vermont Chamber of Commerce and the Central Vermont Chamber of Commerce. 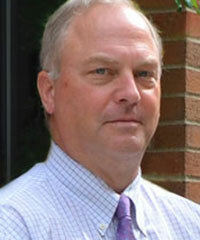 Mike also serves on the UVM Health Network Board and is the Chair of the UVM Heath Network Audit Committee. Dr. Depman is physician in the CVMC Emergency Department. He earned his MD, and completed his internship and residency at Weill Cornell Medical College affiliated with the New York Hospital and New York Presbyterian Hospital. He is certified by the American Board of Internal Medicine. 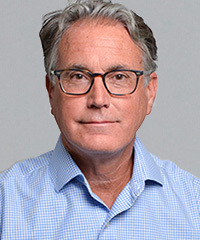 Dr. Depman was an Emergency Department physician for close to 20 years in New Haven, Connecticut, affiliated with the Yale University School of Medicine Hospital and the Hospital of Saint Raphael. Dr. Depman and his wife Kim Adams, MD, a retired ophthalmologist, live in Northfield. Dr. Jeremiah Eckhaus is President-Elect of the CVMC Medical Staff and is a family medicine physician at Integrative Family Medicine - Montpelier. Dr. Eckhaus received his MD from the MCP-Hahnemann School of Medicine in Philadelphia. He is board certified by the American Board of Family Practice and the American Board of Holistic Medicine. President, Field & Field, P.C. 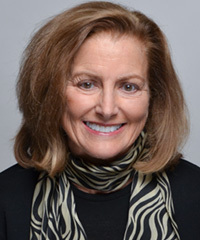 Sarah L. Field, the majority shareholder, co-founder and President of the law firm of Field & Field, P.C. has been in private practice in central Vermont since 1986 with offices currently located at 59 North Main Street, Barre, VT. She concentrates her practice in the areas of residential and commercial real estate transactions, sales and secured loan and lease transactions, bank financing and closings, business formations, operations and compliance, acquisitions, and dissolutions, title examinations and title insurance and State and local land use regulation issues, including permits and permitting. 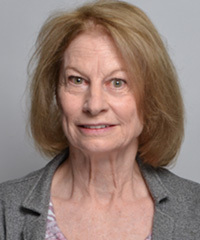 Her practice also includes general civil matters such as, business representations involving construction contracts, representation of contractors and developers and homeowners involved in residential and commercial construction and real estate development, commercial and residential leasing transactions; estate and probate matters, and other civil matters. Sarah is licensed and admitted to practice in all Vermont courts and United States District Court for the Second Circuit, and is a member of the Vermont Bar Association, Washington County Bar Association, a member and secretary of the Board of Directors of Vermont Attorneys Title Corporation, member of the Vermont Title Standards Committee, a subcommittee of the Vermont Bar Association Real Property Committee, organized to address title issues particular to Vermont laws and practices and develop industry standards for title attorneys. Sarah also serves as a member and secretary of the Board of Trustees of the Aldrich Public Library, and is a member and secretary of the board of Barre Area Development, Inc., a local economic development company whose mission is to promote and support economic growth in Barre City and Barre Town. Thomas J. Golonka is currently a managing partner with the investment firm of Silverlake Wealth Management in Williston and Montpelier, VT. Silverlake Wealth Management currently assists in the management of approximately $350 million dollars in client assets in over 25 states. Prior to joining SilverLake in 2005, Mr. Golonka was with Wachovia Securities Private Client Group for 12 years. 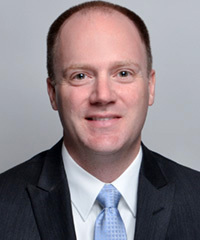 Earning his BA from the University of Notre Dame, and his MBA from Union College, Tom specializes in portfolio management and advanced planning strategies for high net worth individuals and corporations. Tom earned his Chartered Financial Analyst designation in 1997 and is a CERTIFIED FINANCIAL PLANNERTM Practitioner. Mr. Golonka is currently on the Board of the Vermont Municipal Employees Retirement System (VMERS), a member of the Vermont Pension Investment Committee (VPIC) and a City Councilor on the Montpelier City Council . Tom resides in Montpelier with his wife Cyndy Bashara Golonka and their five children; Chloe, Kelsey, Joshua, Gregory and Kenzie. 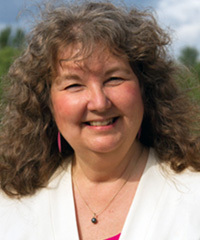 Professional Expertise: Joyce Judy became president of CCV in 2009. A special focus of her work since becoming president has been to help people understand the value of CCV to Vermonters and Vermont businesses. She has overseen the expansion of a broad number of workforce education programs and has been a statewide leader in the development of Vermont’s dual enrollment program for high school students. By expanding CCV’s relationships with the philanthropic community, Judy has achieved significant growth in private support for CCV initiatives, including several scholarship programs, the Introduction to College and Careers program to improve college-going rates of Vermont high school students, and enhanced services to Vermont’s military veterans. Community Involvement: Judy serves on the New England Board of Higher Education Executive Board, the Vermont Public Radio Board of Trustees, the Vermont Higher Education Council, the Vermont Business Roundtable, and the College Board Community College Advisory Group. Educational Background: Bachelor of Science degree from the University of New Hampshire. Master’s degree in education Antioch New England Graduate School. Professional Expertise: Nurse, health care administration, grant writing, health policy, project management. Community Involvement: CVMC Board of Trustees, Worcester Planning Commission, Coach – Girls on the Run, Coach – Morse Farm Women’s Ski Group, Volunteer – Patient Choices Vermont. Educational Background: The Dartmouth Institute. MS 1997 (formerly Center for Evaluative Clinical Sciences), Hanover, NH; St. Michael’s College, MS in Administration 1983, Winooski VT; University of Minnesota, BS in Nursing 1975, Minneapolis, MN. 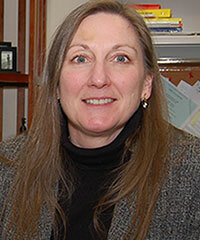 Mary Moulton, MPA, was hired as the Executive Director of Washington County Mental Health Services in July 2013. Mary began her career at Washington County Mental Health in 1990 as an Emergency Services Clinician on the WCMH mobile crisis team. She became Director of Intensive Care Services in 2005 and Chief of Operations in 2010 when she worked with multiple programs throughout the Agency. 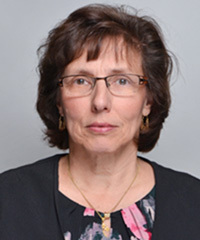 Following the destruction caused by Tropical Storm Irene in August 2011, Mary was granted a leave by the Board of Directors to serve at the request of the State of Vermont as the Deputy Commissioner, and then Commissioner, of the Department of Mental Health. Her primary directive was to work with teams in all designated agencies to implement Act 79, also known as Vermont’s mental health reform act. As part of that reform, Mary was instrumental in developing law enforcement and crisis team training and remains actively involved in the continuing development of Team Two mental health response training today. She has also been the Coordinator of Vermont’s Behavioral Health Disaster Response Team, training 500 responders and creating a system for behavioral health response in the event of disaster. Mary received her Master’s in Public Administration from Norwich University in 2011 and currently resides in Moretown, Vt.
Marta Murphy is an accomplished Senior Executive and Board Member. Her broad areas of expertise include web project management, open source content management systems, web design, e-Commerce, skilled guidance in the areas of talent development, strategic analysis and listening, governance, and team-building, problem-solving, and leadership. Throughout her executive career, Marta has held a number of leadership positions. At present, she serves as Principal with M Consulting, a company that provides a variety of strategic services to assist organizations as they manage their online business presence. Marta concurrently serves as Partner with SitesAssure, experts in the area of fast Malware removal. Previously, she held titles of Partner with 911 Website Repair, Partner with Emergency Malware Removal, and Principal with Axess Web Solutions. Marta holds an MBA in Marketing from the Thunderbird School of Management and a Masters in Internet Strategy & Technology from Marlboro College. Marta is Chair of the Board of the Central Vermont Medical Center, Board Member of the UVM Health Network, Chair of the Compensation Committee and past president of the Mad River Valley Health Center. Barre native and national quality expert Anna T. Noonan, BSN, MS, RN, became president and chief operating officer for The University of Vermont Health Network – Central Vermont Medical Center (CVMC) in July of 2017. 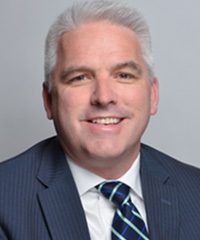 Since 2004, Noonan has served as vice president of the Jeffords Institute for Quality and Operational Effectiveness at The University of Vermont Medical Center (UVMMC) in Burlington. She has concurrently served as vice president of quality management for CVMC since 2012. In both roles, Noonan focuses on accelerating clinical outcomes, improving operational efficiency and promoting population health strategies. She has been employed by UVMMC, previously Fletcher Allen Health Care, for 35 years in a variety of clinical and leadership roles. Noonan began her professional career as an RN, earning degrees from UVM. She completed a master’s degree in executive leadership and administration from Champlain College. She has deep roots in central Vermont. Her father, Luigi “Gino” Tempesta, was a sculptor in Barre’s granite industry. Born in Barre, her first job, at age 16, was as a nurse’s aide on CVMC’s medical-surgical unit. 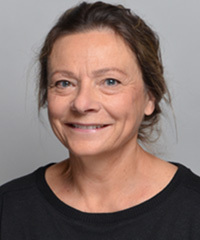 Cathy Palmer, MD is a board-certified Pathologist and serves as President of the Medical Staff and Laboratory Medical Director at Central Vermont Medical Center. She attended medical school at Indiana University School of Medicine, completed her internship and residency at the University of California - San Diego Medical Center, and a fellowship at Fletcher Allen Health Care. Dr. Palmer is an Associate Professor at the University of Vermont College of Medicine. She currently serves on the Central Vermont Medical Center Cancer Committee and the Tumor Boards at Central Vermont Medical Center and Gifford Hospital. Professional Expertise: 16 years at Northfield Savings Bank. Currently oversees the financial and risk management functions of the Bank including accounting, finance, investing, commercial and consumer credit, and compliance. Prior to NSB, Richardson was an Audit Manager for a Regional CPA firm in Portland, Maine. Community Involvement: Currently a member of the Board of Commissioners of Vermont State Housing Authority. Previously a Board Member and Officer of Central Vermont Economic Development Corporation, currently serves on their Loan Committee. Previous Board Member and Officer of Green Mountain United Way. 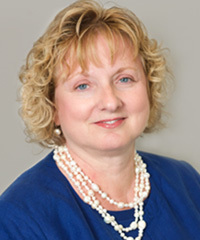 Professional Expertise: Sandy joined CVHHH’s Finance Committee and subsequently, Board of Directors, in the late 1990’s. It is here where her passion for community-based health care blossomed. In 2002, Sandy became an employee of CVHHH holding multiple positions, CFO, COO and her current position. Through her multiple positions at CVHHH she learned about all aspects of homecare from finance to quality to direct patient & family care. 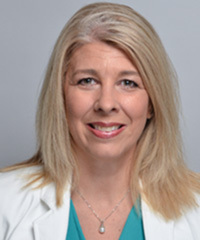 For the last five years she has been actively involved in health reform efforts in Vermont ranging from her board and committee work with the Accountable Care Organizations and her past role as President of the VNAs of Vermont, an association of the statewide VNA industry. She continues to serve on the OneCare Vermont Finance Committee and actively participates in multiple health reform venues in Central Vermont and throughout the State of Vermont. Community Involvement: Member of the VT Society of CPAs; Corporator and Nominating Committee member, Northfield Savings Bank; member of the Barre Rotary Club; UVMHN - CVMC Board of Trustees and Population Health and Quality Committee, UVMHN Audit, Population Health and Quality, and Planning Committees. Educational Background: University of Rhode Island, School of Business, Bachelor’s Degree in Accounting. Professional Expertise: Previously practiced at Massachusetts General Hospital and held positions of Commissioner and Deputy Commissioner of Banking, Insurance, Securities and Health Care Administration under Governor Douglas in the State of Vermont, Chief Nurse Practitioner Officer for CVS Minute Clinics and Director of Accelerated Bachelor of Science in Nursing and Direct Entry Graduate online programs at Northeastern University. Fellow in the American Association of Nurse Practitioners. Community Involvement: Serves on Vermont Board of Nursing, APRN sub-committee, immediate past-president of Lund, an organization helping families thrive with programs aimed at breaking cycles of poverty, violence and addiction. Volunteers internationally leading nursing and nurse practitioner students on community health care brigades delivering care to impoverished villages in Nicaragua. Recently joined the board of Central Vermont Home Health and Hospice. Educational Background: AD in Nursing from the University of Vermont, BSN from University of Washington, MSN from Simmons College and DNP from Northeastern University. She also holds a JD from New England School of Law.